Alcohol addiction is a serious problem in the United States and recovering from it requires the right information and treatment program. The alcohol hotline numbers can provide these resources free for people seeking to overcome this addiction. Delphi Health Group offers free treatment advice and counseling to people with alcohol addiction and other drug abuse disorders. The group also connects callers to addiction experts who provide treatment services in any of the group’s affiliated facilities across the state. Services offered are usually under insurance coverage. Call the alcohol helpline on (866)-520-2708 to speak with a representative. Calls to this alcohol help hotline are toll-free, confidential, and available 24/7/365. The Behavioral Health Division of the state’s Department of Health Services provides direct treatment services for alcohol addiction and other substance abuse disorders. Hotline counselors transfer calls to healthcare providers and addiction experts for counseling, advice, and treatment services. Call SAMHSA Hotline at 1-800-662-HELP (4357) for information and advice on alcohol treatment. Call agents also make treatment referrals to approved facilities across the country and within the state. Call this helpline number any time of the day, any day of the year to get started. 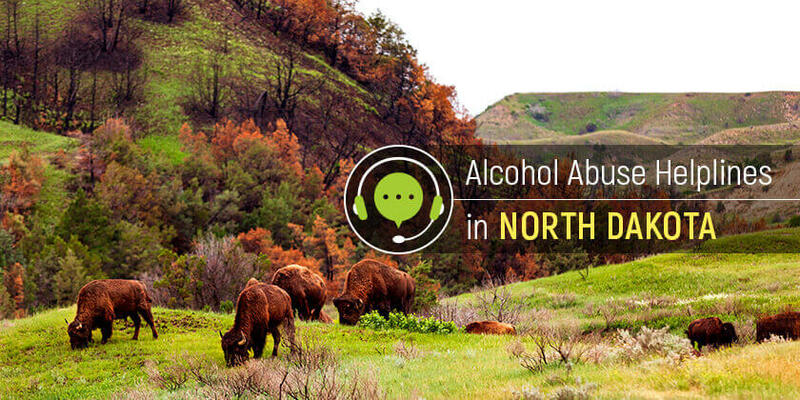 North Dakota residents can achieve sobriety by connecting with the right resources and addiction expertise. Dial these alcoholism helplines to get connected.